Though we all are used to touchscreen input system of Android mobile and Tabs for texting and all other purposes, most of us do really like it too. But, there are also many of us who thought that the productivity of the device or computation functions can be enhanced of the Mobile if we use Keyboard and Mouse in the game. After all bigger is better when it comes to typing or playing games. There are also some special types of apps available those demands an external keyboard or mouse for optimum performance. Those people use office tools to create documents on mobile they can really use the OTG peripherals to speed up their job. 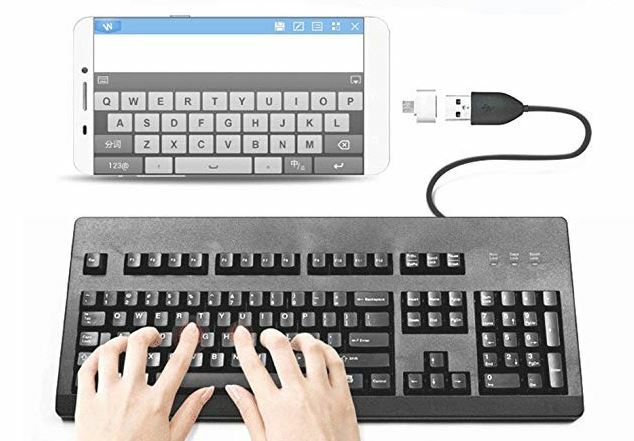 Now as we know any latest Android Mobile or Tablet does not have the standard size USB port, because of which a USB keyboard or mouse cannot be connected to the mobile directly. To do that you need a USB on-the-go (OTG) cable. This OTG cable is fairly cheap to buy, so you do not need to spend huge money for the sake of testing this procedure. 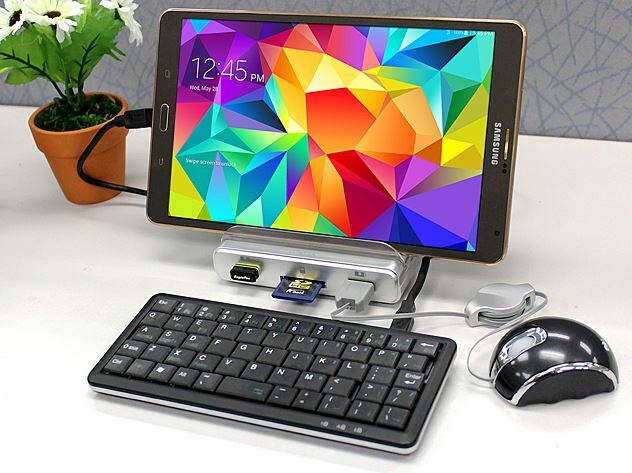 OTG allows attaching USB devices to your Android tablet or phone without needing a pc. It works like a bridge between two devices with the same technology but different connectors. Though, if the keyboard or mouse is wireless, then it can be connected with the help of Bluetooth without any OTG. The USB OTG cable has two connecting ends. One end will fit in the Android device’s micro USB jack and the other end has a female USB connector in which the jack of the keyboard/mouse can be connected. Note: Remember that not all Android devices support peripherals with a USB OTG cable, so first check your device’s specification whether it can support USB peripherals or not. 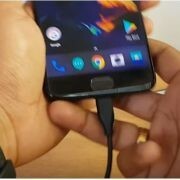 Firstly, connect the male end of the OTG cable to your Android device then enter USB jack to the other end of the keyboard or a mouse. When the new hardware detected, the device will notify the user. There is no need for an Android USB keyboard/mouse driver for this case. When the mouse is connected properly, a mouse pointer would appear on the screen which you can be used to scroll through pages, click on applications or icons, drag icons and screens and you can do all basic things a mouse would normally do on a PC. When the keyboard is connected properly then test with some apps. Then you are ready to use your Android device as a computer to edit and create Microsoft office documents at a much faster speed than touch keyboard. If you are using a tablet then this addition will be a great addition for you. Use a stand cover for the tablet and you can have the fillings of working in a PC, and in real also the device is ready to handle more computations work now at faster speed. If you are looking for using Keyboard and Mouse both at the same time then you might have to get a Multi USB OTG cable or dock which will have more than one female USB hubs. This kind of USB hub is a little costlier than the normal one. But, keep an eye on the battery indicator as these peripherals are going to drain the battery of your device. This may be the only negative point of using keyboard/mouse on Android. However, there are some OTG cables or docks those also allow you to attach the charger cable while connecting to other peripherals such Keyboard and Mouse. Not only texting or document creation; you can also configure the game to comply on keyboard control, in return you can play the mobile games with keyboard and mouse which will give you an advantage over other players. What is USB OTG and How to use it?